A new release of Pretty Good Solitaire is now available. Version 9.2.0 is available for download from <http://www.goodsol.com/download.html>. Version 9.2.0 adds 10 new games to bring the total number of games to 570. The new games are Double Kingsley, Double Russian, Free Fan, Granada, Inverted FreeCell, Mumbai, Right Triangle, Single Left, Three Bears, and Three Demons. This new version is a free upgrade for those who originally ordered the Quest Edition, 500 version, or version 9, or who paid to upgrade to those versions. Just download the trial version and it will use your same registration code. Users who originally ordered Pretty Good Solitaire 2k (2000 version) or earlier can upgrade at <http://www.goodsol.com/upgrade.html>. New users can order at <http://www.goodsol.com/orderonline.html>. Our gift CD is back for the holidays. 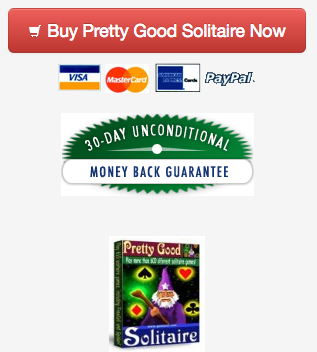 For just $31.95, buy our gift wrapped CD of Pretty Good Solitaire. The CD contains Pretty Good Solitaire, plus all currently available card sets. Multiple quantity discounts are available. To order the gift CD, just visit our site at <http://www.goodsol.com> and click on the picture of the Christmas Kitten Queen of Diamonds from the Christmas Card Set. It is on the right side. Download the Christmas Card Set from <http://www.goodsol.com/pgs/cardsets.html>. It features green and red cards with a holiday theme. The Christmas Card Set is for registered users of Pretty Good Solitaire, Action Solitaire, FreeCell Wizard, or Spider Wizard only. 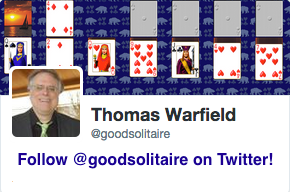 But for a limited time, unregistered users can see the Christmas Card Set by downloading the special Pretty Good Solitaire Christmas Edition from our site at <http://www.goodsol.com>. The special Christmas download includes the latest version 9.2 and installs the Christmas Card Set in addition to the regular cards. Our new online games area has moved and expanded. You can now play Klondike, FreeCell, or Spider for free online at <http://www.goodsol.com/online>. All three games look just like Pretty Good Solitaire. They have limited features, but all have the right click quick move for easy play. This game is at Right Triangle.